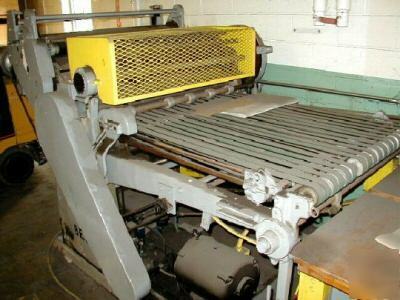 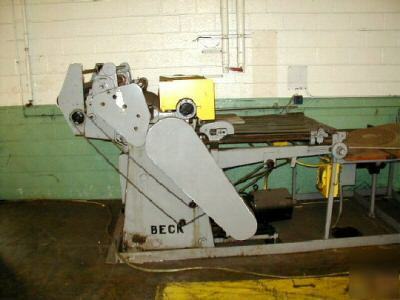 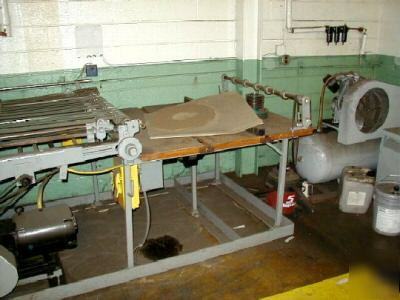 45" Used Beck Rotary Sheeter; sheeter is equipped with feed system enabling it to sheet foil; machine will sheet other substrates such as film or paper as well; machine includes unwind stands and jogging table; shear slitting section; stepper feed motor for dialing in specific sheet lengths. 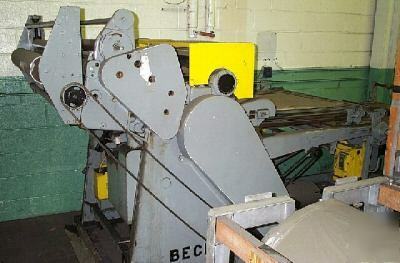 Finger delivery system. 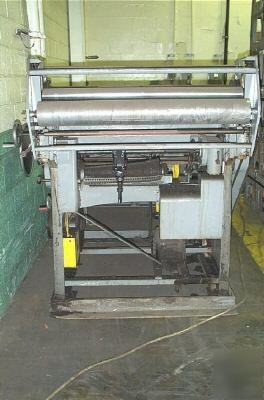 Good for fabrics and other flexible substrates.